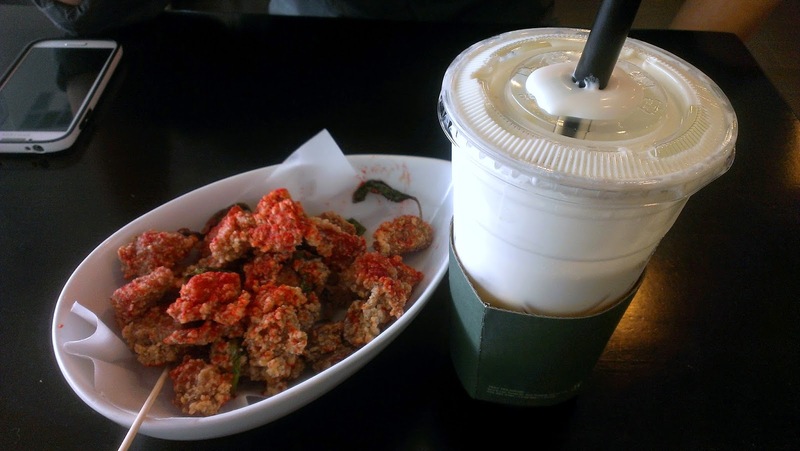 Hokkaido milk green tea with bobes and popcorn chicken with plum powder at Tbay. The tea is covered in a thick layer of hokkaido milk cream, and gives you a mustache when you drink it. The popcorn chicken was perfect. 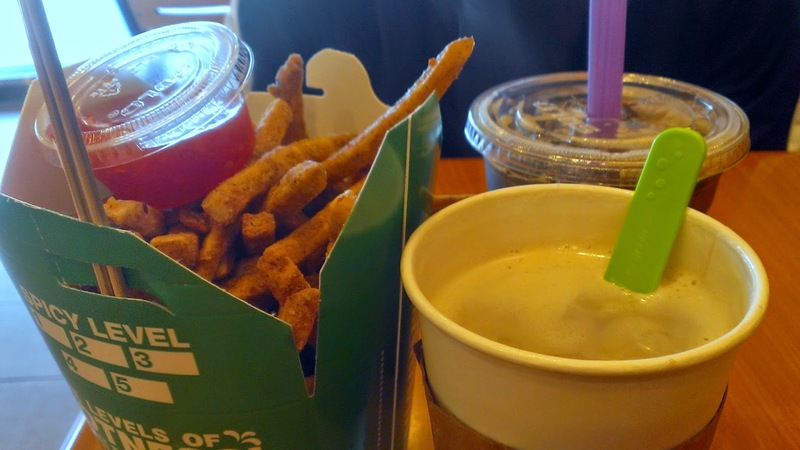 Hot taro tea boba, buttload's fries with weak sauce, and something else Khoi got at Tastea. The weak sauce is just sweet chili sauce. I can't put my finger on what they put in their fries to make them so good (they're seasoned with something) but tis cray. Sweet cream shaved snow with lychee, mochi, red bean, and condensed milk at Blockheads. I've been wanting to try shaved snow for the longest time and I was almost afraid it wouldn't live up to my expectations, but it was everything I hoped it would be. 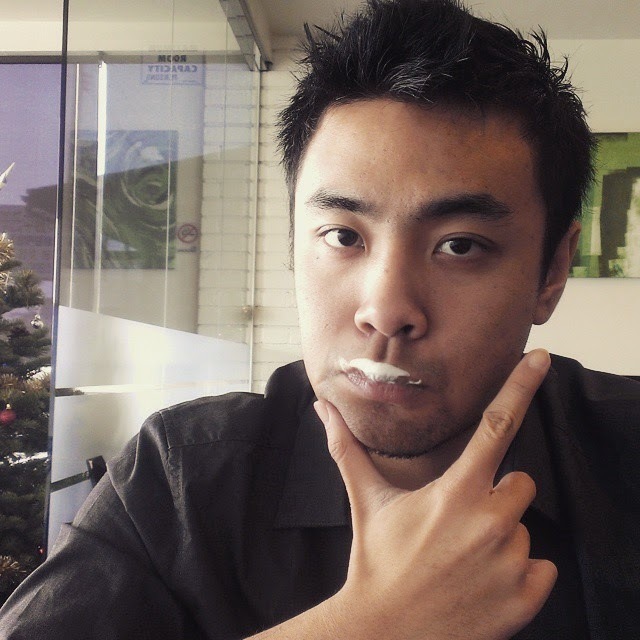 The texture of the snow is so good, you gotta taste it to believe. 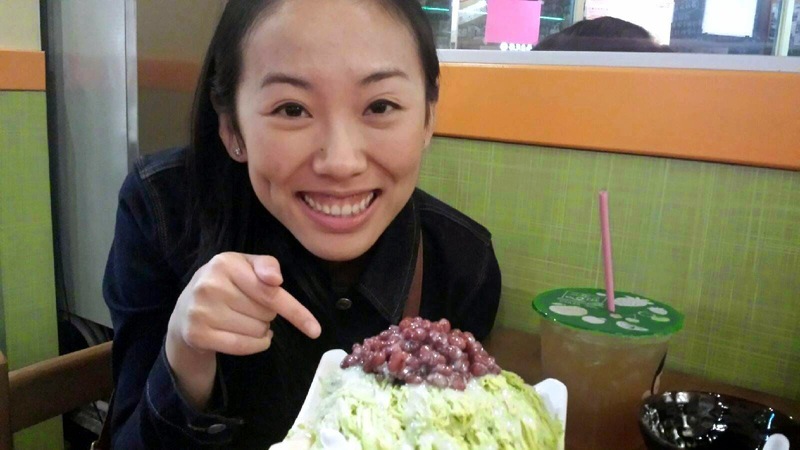 Moar shaved snow :D green tea snow with red bean, mochi, and condensed milk at Class 302. Blockheads was so good that I had to get more snow the next day...and this wasn't as good. But still good. 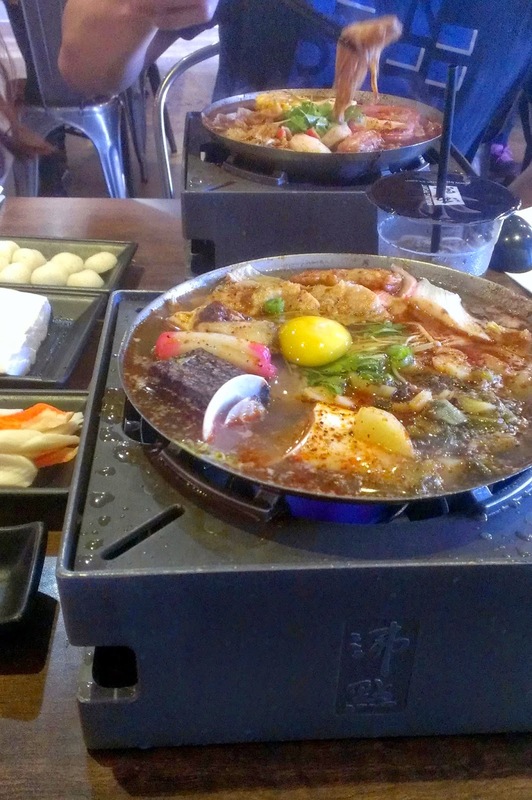 Individual lamb hot pot at Boiling Point. It tastes right and is so satisfying. Tsukemen ramen and sashimi bowls at Tsujita. I think I like dippy ramen better than regular ramen, although what would take it over the top is if everything was piping hot since this was only lukewarm. Sushi at home. We bought a bunch of sashimi grade fish from Super H-Mart and went ham. 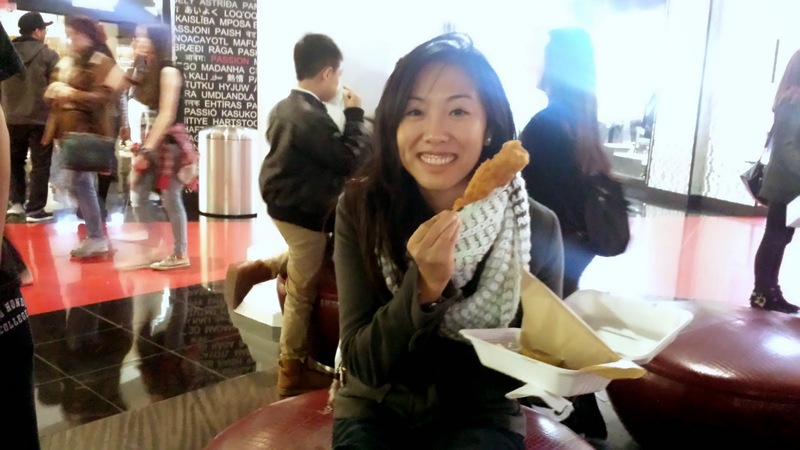 Battered lobster tail on a stick aka the Lobsicle at Lobster ME in Vegas. It tasted as crazy as it sounds.